In his letter, Bosh chose to reflect more on the good times he had since joining the Heat in 2010 and playing such a huge role in the team going to the NBA Finals in four consecutive seasons and winning two championships. Chris Bosh has written an open letter to Miami, thanking the city for supporting him for the past seven years. 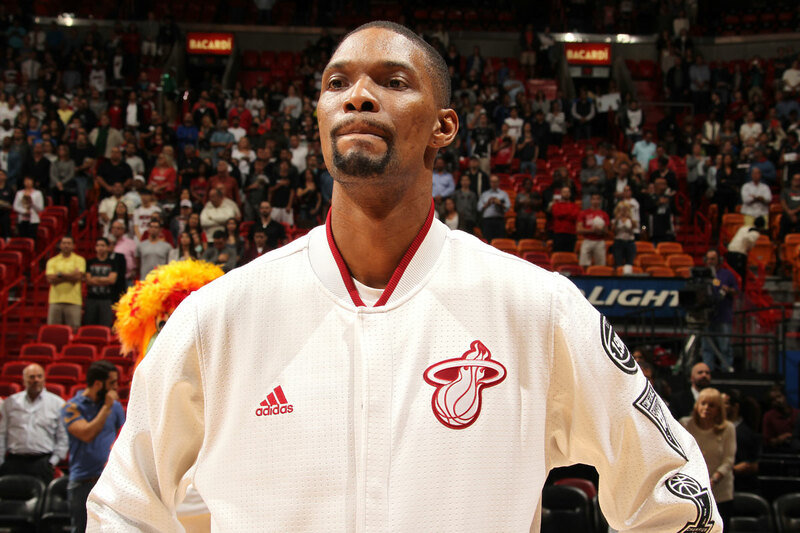 Bosh published the letter on Sunday, without any mention of his current health or plans for his future. He was waived by the Heat last week, and hasn’t been able to play in an NBA game since February 2016. Bosh’s career has been interrupted by blood clots; one shut him down at the All-Star break in the 2014-15 season, another shut him down at the All-Star break again a year later. He failed his preseason physical with the Heat last September and missed all of last season, and it is unclear if he will pursue a return to the court elsewhere. Under league rules, he cannot play for the Heat again. But in his letter, Bosh chose to reflect more on the good times he had since joining the Heat in 2010 and playing such a huge role in the team going to the NBA Finals in four consecutive seasons and winning two championships. Bosh immersed himself in Miami’s rich Latino culture. He knew some Spanish when he joined the Heat, and he’s learned quite a bit more since, he said – noting that the language skills will be a tool he can use the rest of his life. “Learning how to order a cafe con leche o ropa vieja on Calle Ocho has become natural to me,” Bosh wrote. Bosh has played in 13 NBA seasons, seven with Toronto and then six with Miami. He was part of Miami’s massive free-agent haul in 2010, in which the Heat not only kept Dwyane Wade but landed LeBron James to form the core of a superteam. Bosh has averaged 19.2 points and 8.5 rebounds in his career, and the Heat announced they are retiring his No. 1 jersey. Bosh did not mention blood clots in his letter, but discussed how his six-day hospital stay for the clot and other issues in 2015 still affects his overall perspective. Bosh returned to the game as an analyst for Turner Sports late last season, and there have been talks about him continuing to work in television. He will be paid the remaining $52.1 million from the last two years of his contract, but that money will no longer count against Miami’s salary-cap obligations – and that enabled the team to sign other players to free-agent deals last week. Even though he has been deemed to have a career-ending condition , Bosh could play again if he chooses to and if a team gives him medical clearance. Getting such clearance would be, at best, daunting. Chris Bosh Writes an Open Letter to Miami thanking the city for supporting him for the past seven years. Bosh’s career has been interrupted by blood clots.